We tried growing cabbage this year. Red savoy cabbage, with beautiful red and green crinkly leaves. 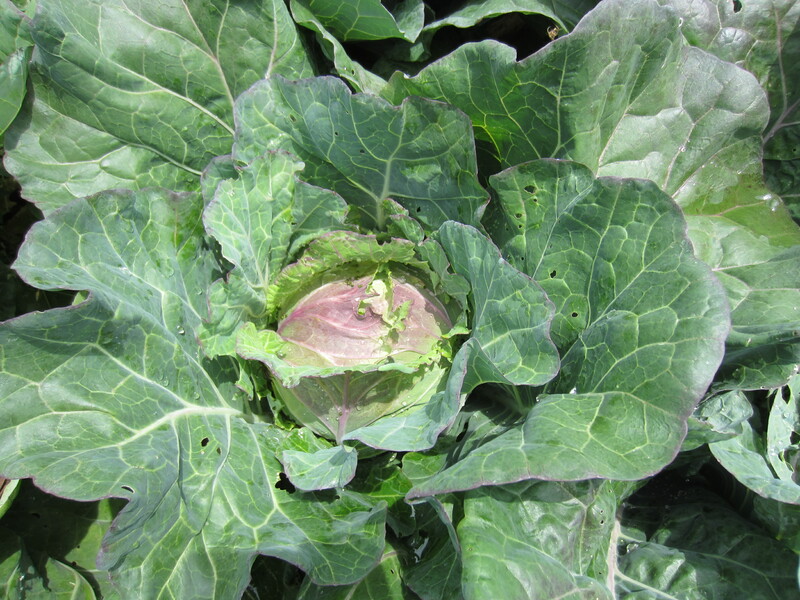 We had never attempted growing cabbage before because we were wary of pest pressures from cabbage worms. Unfortunately our trial did not work out too well. 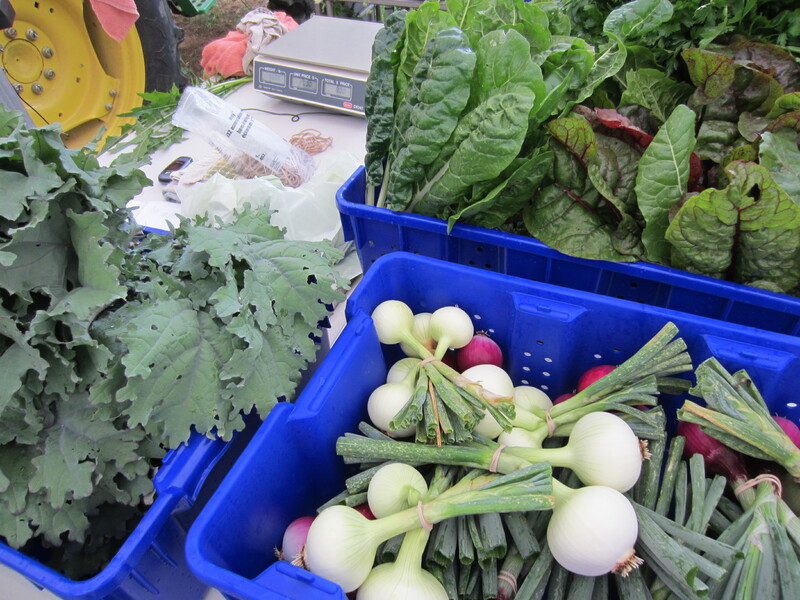 We were able to harvest a small amount of cabbage heads, but overall the planting was a disaster. Sure, in this picture the head looks fine on the outside, but the cabbage loopers had done a lot of damage to the undersides so I had to remove all of the beautiful red crinkly outer leaves. I will try again for the fall. Maybe I will keep it under row cover the entire 100+ days to maturity to see if that helps. 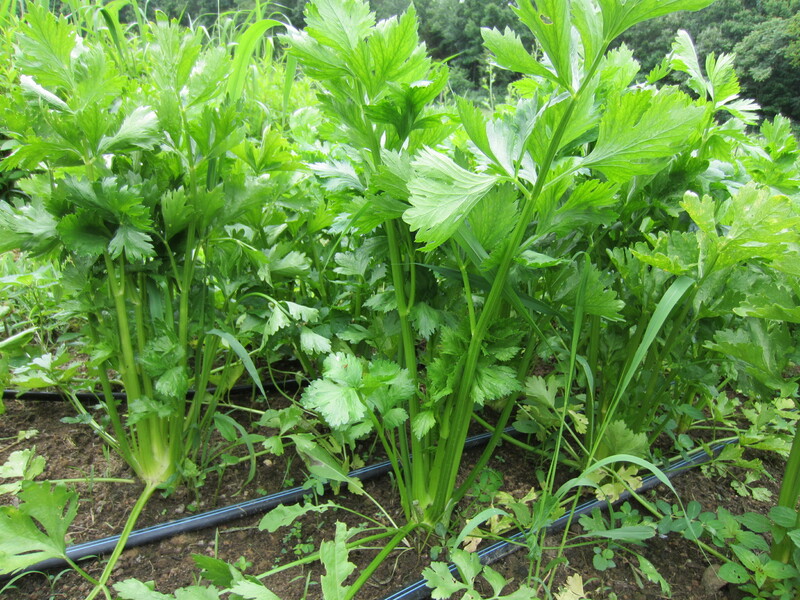 One crop that has grown well this spring is celery. I have to admit I was a little daunted by the temperamental requirements of growing this plant, but it has not been much more work than anything else we grow. 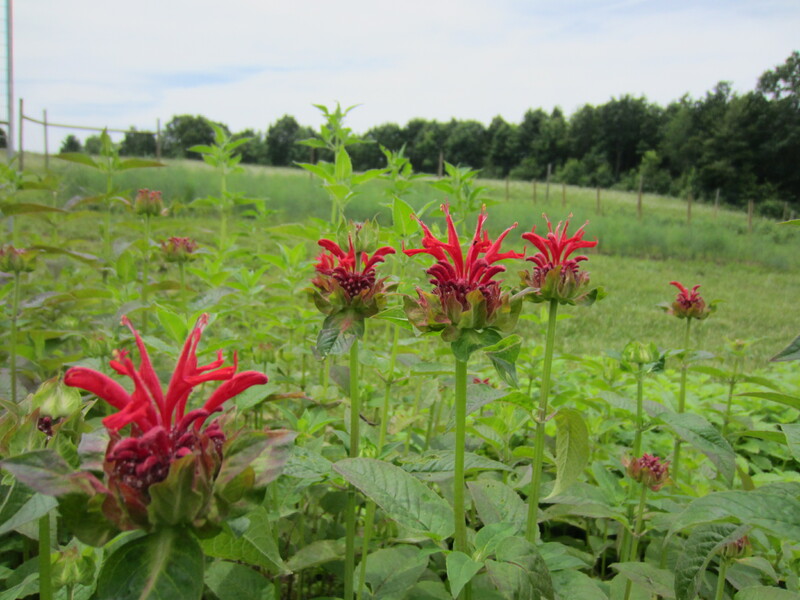 We love how flavorful the heads are, and will be adding celery to the long list of the things we grow on a regular basis. We have really seen a change from spring to summer over the past week or so. 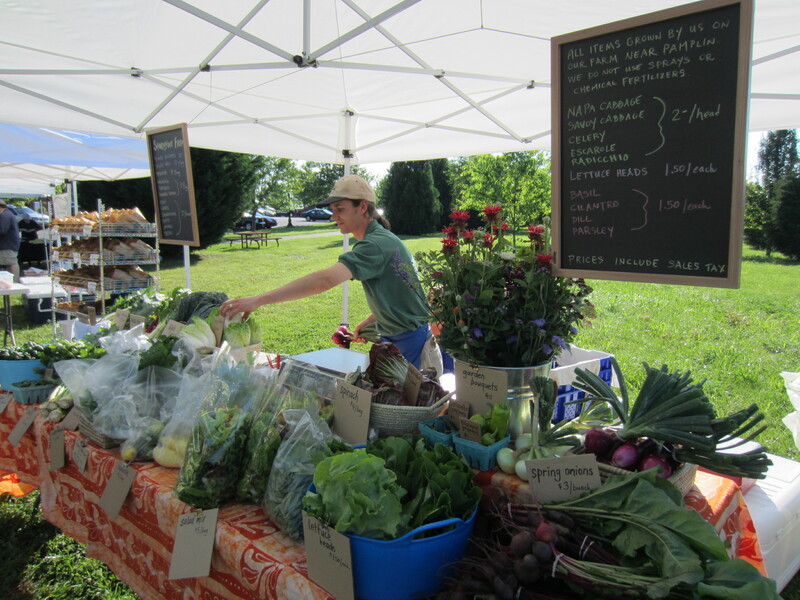 Spring crops are on their way out, and summer crops are starting to produce. 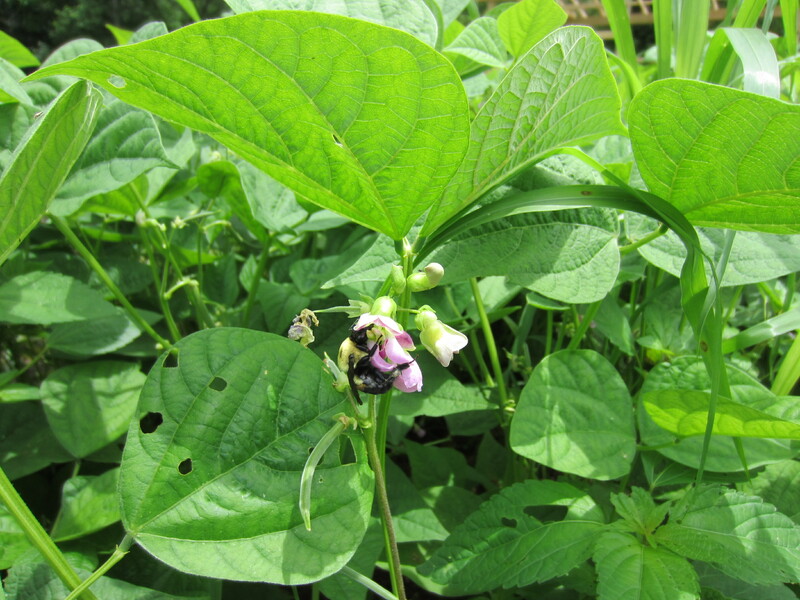 The bees have been busy pollinating the green beans, and I picked a few buckets full yesterday! 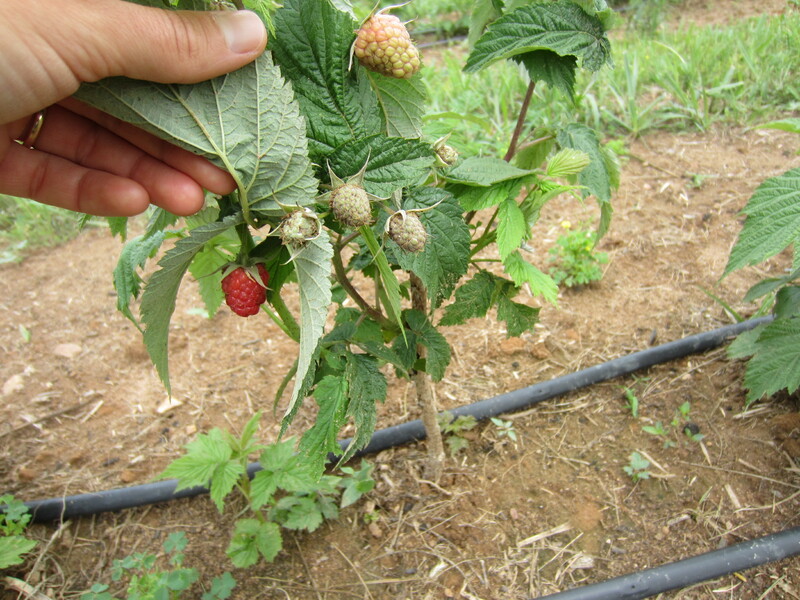 The Autumn Britten raspberries I planted in March are fruiting already. 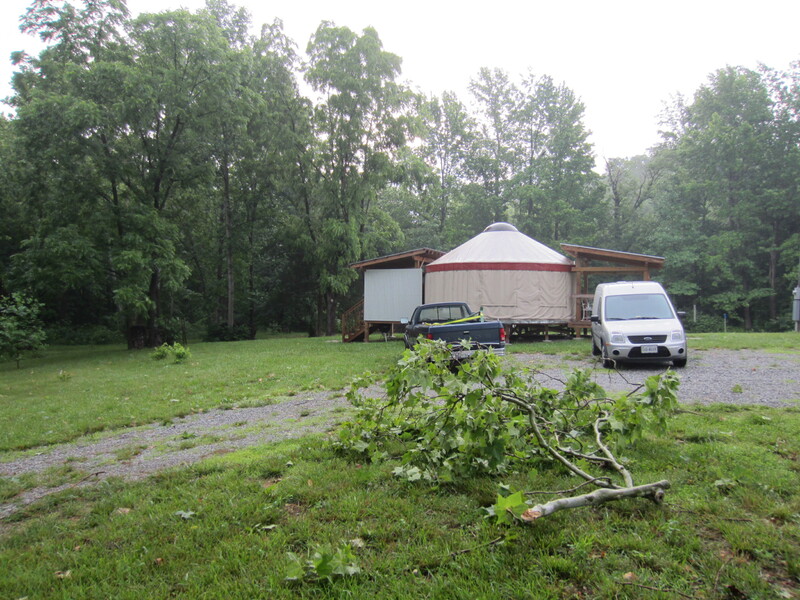 We don’t expect to get any large harvests off them until the fall though. Soon we will be putting in their trellis wire to keep those berries off the ground. 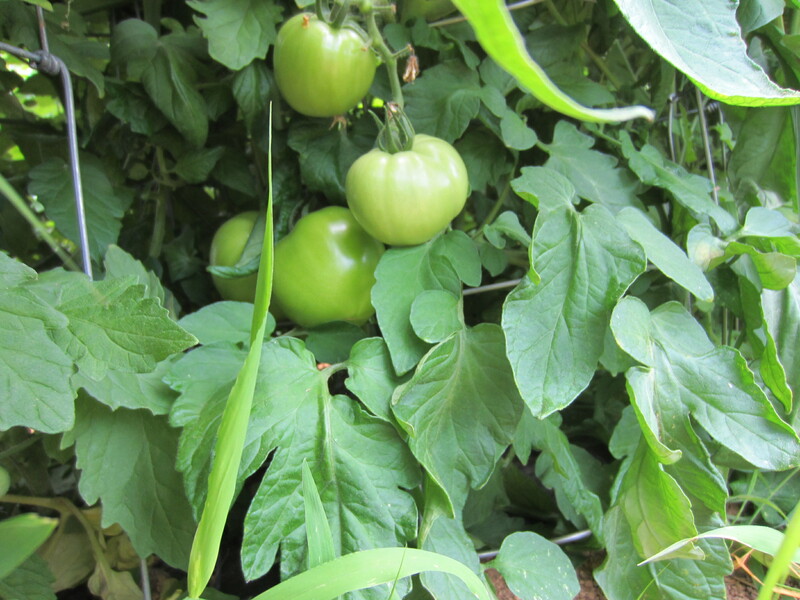 The tomatoes in the high tunnel are doing super. I have picked a handful of Sun Gold and Five Star Grape tomatoes already! These slicers will take a bit longer to ripen up, but they will be coming soon! 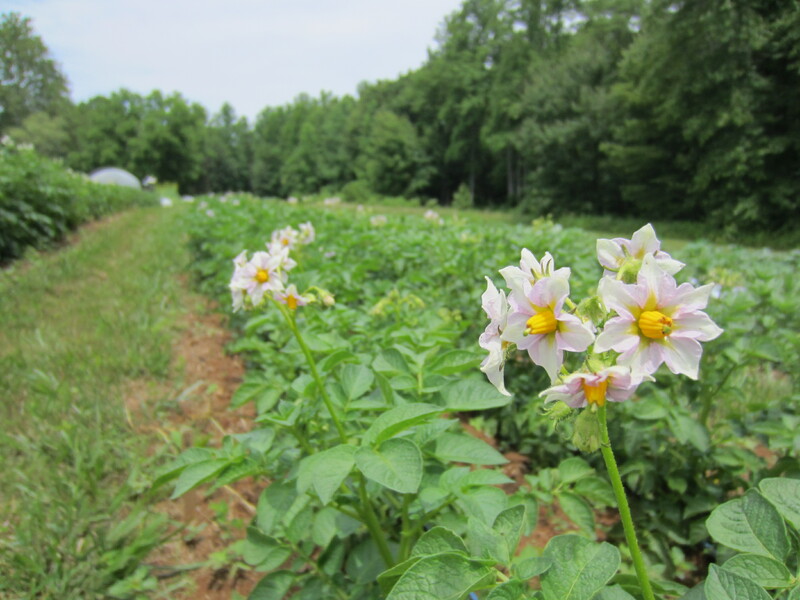 Many of the potato varieties are blooming now, and it won’t be long before we will be digging up some new potatoes. 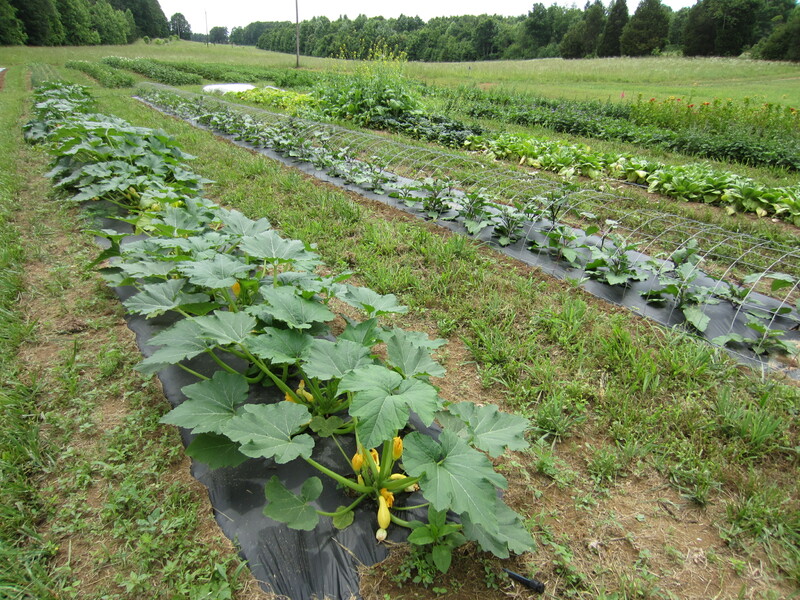 The first squash planting is producing well now. We have already seen lots of mature squash bugs, so I’m not sure how long-lived our squash season will be this year. Setting up the stand in Forest. We are going to have to add another table to hold all this bounty!